Simply 100% pure active healing seaweed! 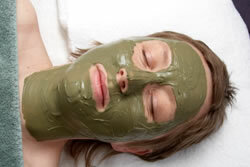 Seaweed therapy and seaweed cosmetics have been around for centuries. Also known as Thalassa therapy or Algae therapy, the amazing properties of seaweed have been used around the globe by humans for thousands of years. Seaweed therapy and seaweed cosmetics are still very popular today in Europe and Asia. In Eire, Northern Ireland, Spain, France, Brittany, Greece and Japan, people go in their droves for seaweed therapy to gain the amazing healing and health benefits of seaweed to the body and mind. Very popular with Arthritis, Osteo-arthritis and Rheumatoid sufferers, people with Eczema and Psoriasis, hard working manual labourers, gardeners, craftsmen and women, with stiff sore muscles and joints, will all benefit from seaweed cosmetics. For Insomnia and people with poor sleeping patterns, seaweed baths will help you sleep. The beauty benefits are amazing as the antioxidant, anti-aging and moisturising properties improve the skin. The results are positive and you will see and feel the difference from using seaweed cosmetics. Seaweed is fantastic for your skin! As seaweed is an active tissue healer, it will help clear and sooth Eczema, dry or sore irritated skins. Ideal for spotty, problem or aging skin, seaweed will help balance your skin leaving it like silk. You can see and feel the difference. Ease your aches and pains with a seaweed bath or joint wrap. Soak away your stress, muscular tension, reduce inflammation and ease stiff joints. Medicinal seaweed really is a jewel from the sea with many beneficial healing properties. Quote: “When I feel stressed, I suffer with problem skin, such as spots, red patches and sleepless nights. Jenna has tested and tried the seaweed cosmetics in her clinics for the last 10 years with a great result for her clients. Available for you all to benefit from.